So enough about cultural insights… how about some pictures? It’s been an incredibly busy few days in Nanjing, with lots of UNESCO World Heritage Sites to visit, and things to see. I was pleasantly surprised by how nice Nanjing is! 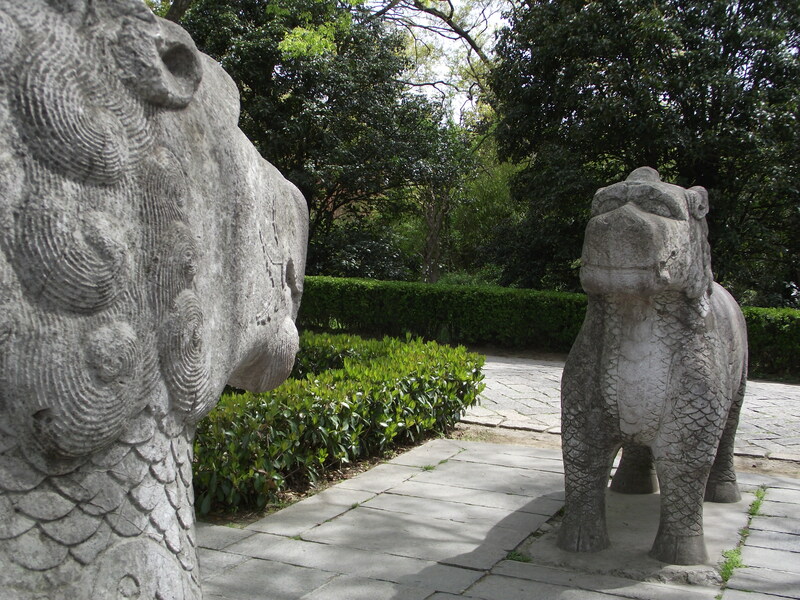 These impressive stone statues line the entrance to one of Nanjing’s UNESCO World Heritage Sights, the Ming Tombs, the resting place of the first emperor and empress of the Ming Dynasty. Other animals include elephants, lions, and even unicorns which, strangely enough, did not have horns. Click the thumbnails below to see more. 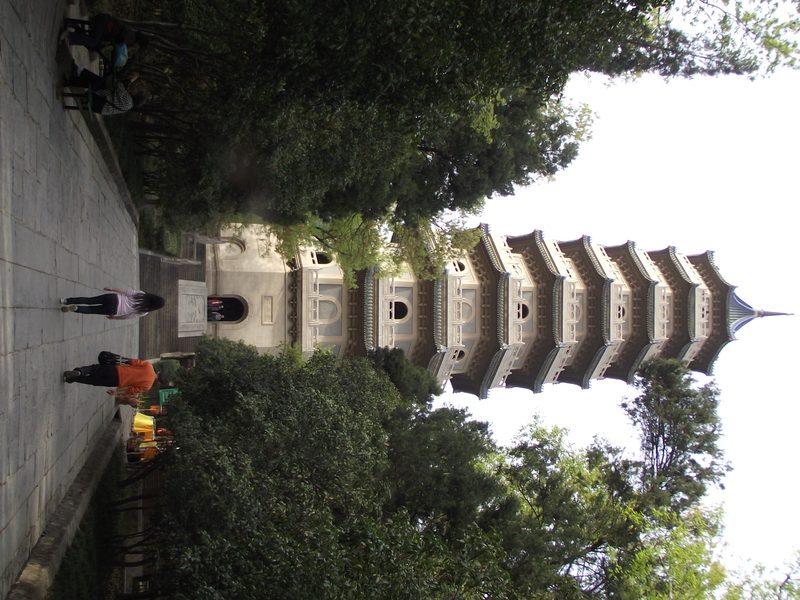 The beautiful Linggu Pagoda, made entirely of stone, is not too far from the Ming Tombs — both being located within Purple Mountain, the scenic area which houses many of Nanjing’s top sights. I decided to climb to the top all the way up the spiral staircase. I’m not someone who is afraid of heights, but when I got to the top, the view made my stomach twinge with fear! Beautiful views though. People in Nanjing are lucky to have Purple Mountain so near to the city; it’s lush, the air is cool, and the forests are dense. 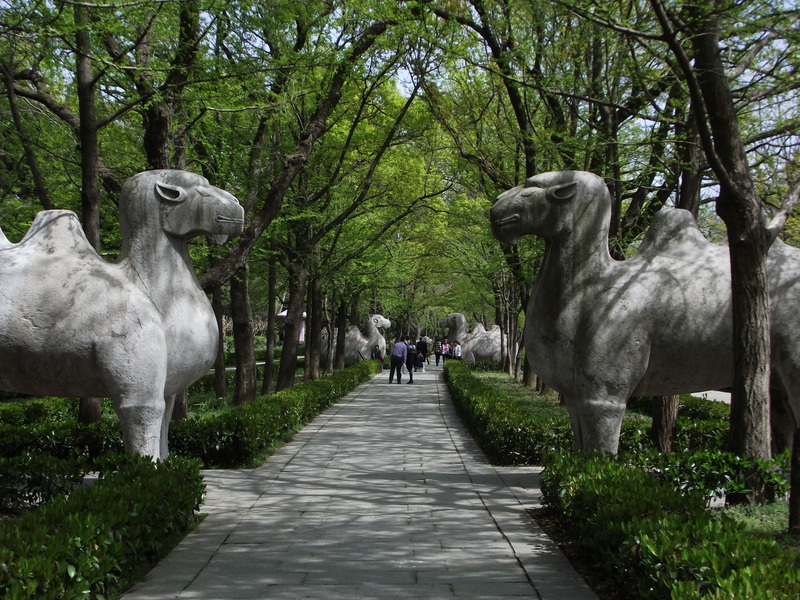 You could say it’s like the Central Park of Nanjing…. except Central Park doesn’t have 1000 year old cultural relics in it! 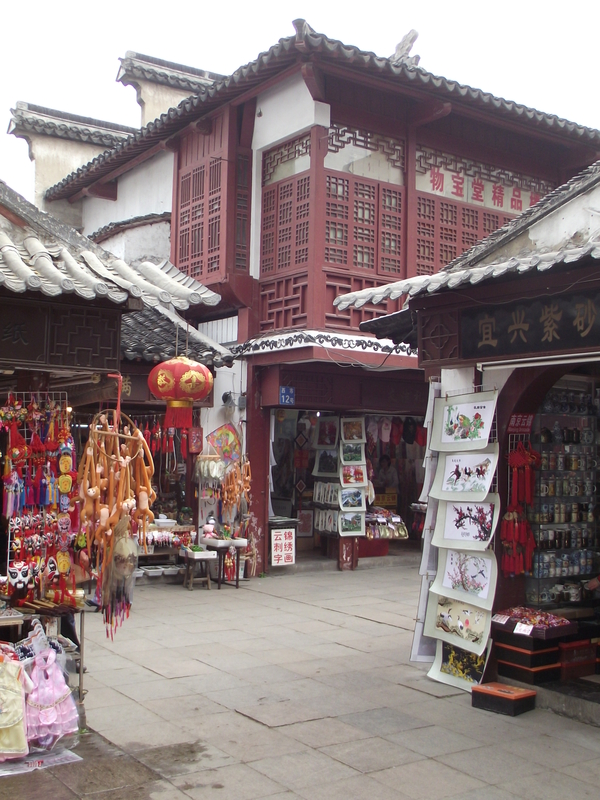 Not only a temple, but a massive compound within a section of Nanjing’s old walled city. In fact, the temple itself is only a tiny part of the whole area and I only spent about ten minutes there. The old buildings in this area have been quite well preserved but many of the shops at street level have been turned into McDonalds, KFCs, Haagen Daaz and trendy clothing stores. Nonetheless it is quite nice to wander around the tiny back alleys with food stalls, teas, and of course various Chinese souvenirs. Located within another section of Nanjing’s ancient city walls is Xuanwu Lake, a very nice place to walk around in the fresh air (thought yesterday was, actually, quite polluted and a bit grey). Couples lay in the shade playing with each other’s hair, old ladies gather at tiny tables to play mahjong, parents walk with their tiny kids, and families have fun in the paddle boats in the lake. There are still a few other things to see but so far I think I’ve got a good taste of Nanjing. Although that is one thing that is a bit missing — Nanjing cuisine. Haven’t been able to find any yet! Hi! So gorgeous! Thanks for sharing. 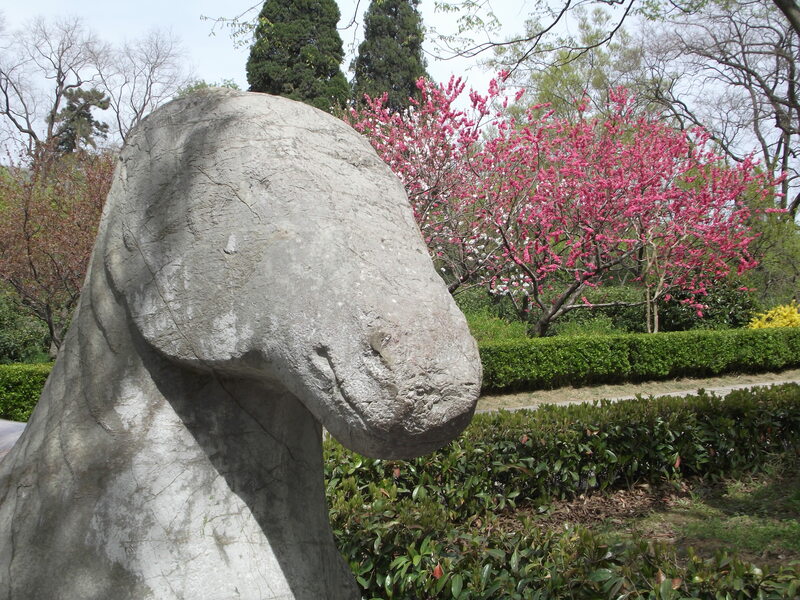 I think I saw in the pictures with the Unicorn, some flowering China rose trees and the hedges are so beautifully trimmed. So beautiful! So glad you could take pictures. Hi Eileen, actually these beautiful pink flowers are plum blossoms! You see them all over Japan as well but in this place there was actually a Plus Blossom Hill just covered with these hot pink flowers. Just beautiful. 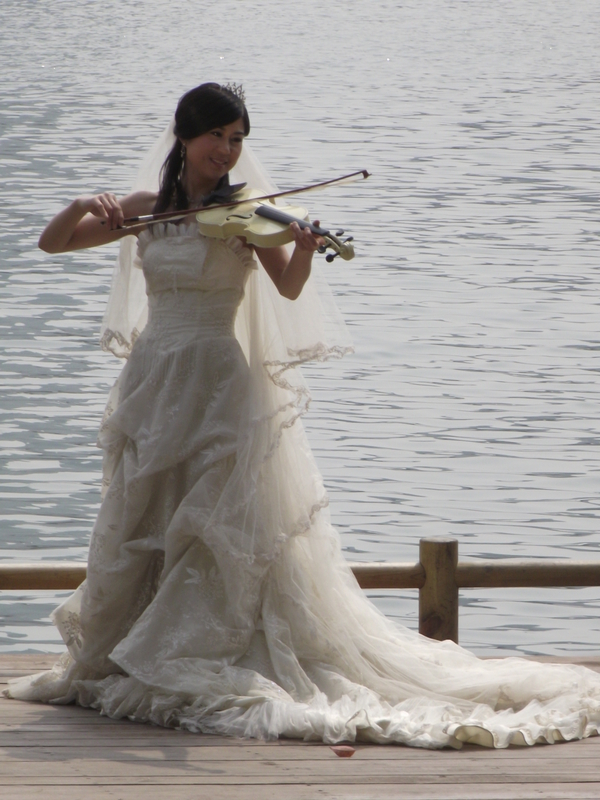 I love this shot, it captures so much of what young couples in China love to do! and am working in Taiwan and I haven’t met a Trinidadian who’s come here. 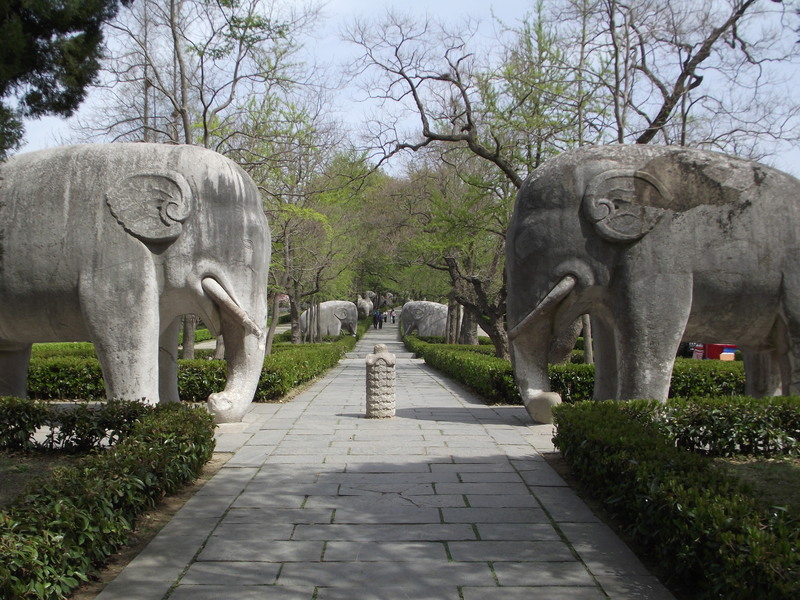 Anyways Nanjing is a place I really want to visit so that’s how I found this site. It’s cool you went to so many places in China. Did you spend a long time there on your trip? Hi Hilton! Nice to hear from you, thanks for the message. That is very cool — a Trini in Taiwan! It is amazing how far us Trinis get around all over the globe. I really enjoyed Taiwan, though I’ve only been to Taipei and Taoyuan. How did you come across my site, and how long have you been there? To answer your question, while living in Hong Kong I went to China maybe five times, each time for a short trip (about 4 days at a time). Wish I could have spent more. The trip to Nanjing earlier this year, however, was after I left my job, so I spent almost three weeks in China. That is when I went to Xi’an. I wanted to go other places too but got sidetracked. Nanjing is a good city to visit, though I tend to think any city in China is bound to be interesting. 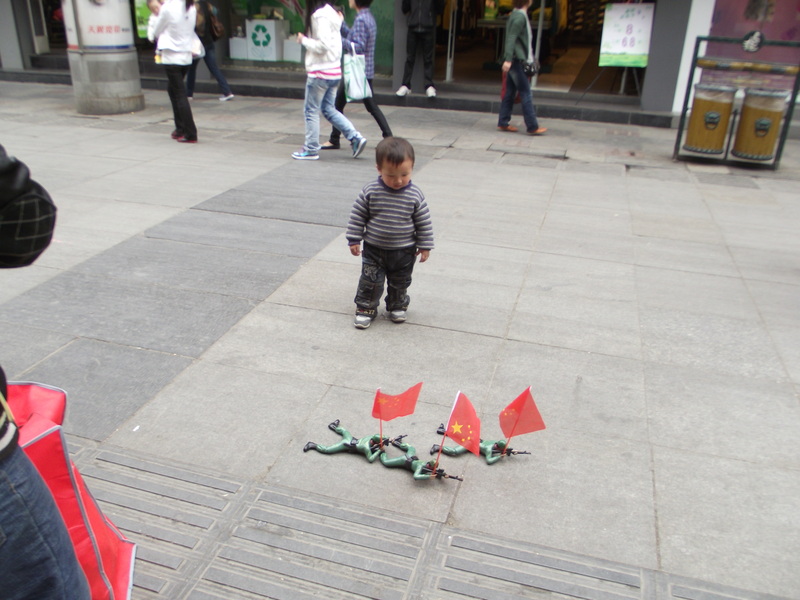 Have you spent some time in mainland China too? Hope to hear form you again! lot of really good posts. not to as much cities as you).